Previously, we discussed the many different flavors of federal student loans. Private student loans for lawyers are not nearly as common as their federal cousins, but several readers may have picked up a few private student loans in undergraduate or law school. Essentially, a private loan is any loan that is not issued or backed by the federal government. Private loans may come from traditional commercial lenders, but “private” loans may also be issued by state-based student lending programs or from your school itself. Private loans are not a good deal for several reasons: (1) they do not have the same number of repayment options as federal loans; (2) the interest rate is set based on underwriting standards (i.e. 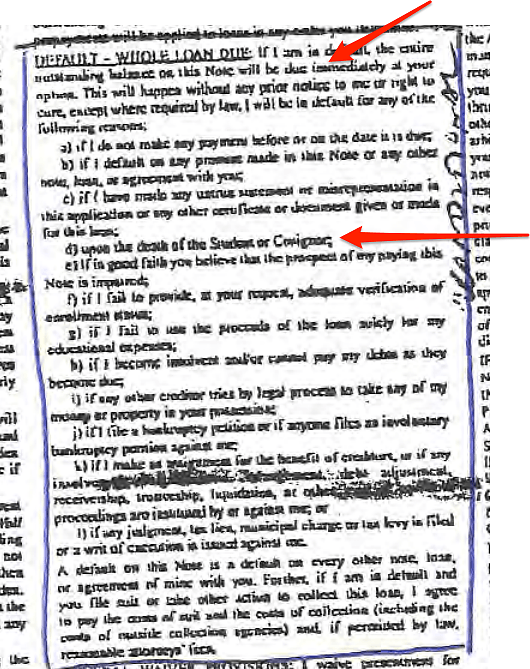 the creditworthiness of the borrower); (3) they often require a co-signer; (4) both private and federal student loans cannot be discharged in bankruptcy; and (5) they often contain high origination fees. And that’s just to start. I’m sure there’s more reasons why they are a bad idea. Before we go any deeper, I want to make clear that I’m talking about the private loan market for loans issued directly to students while in school. The private loan refinance market (entirely different) is in great shape. More on that to come later. Cosigner. Private loans are issued to creditworthy individuals based on the usual tools provided by credit reports. But how is a student with no income able to qualify for credit? With a co-signer of course. A co-signer may be needed to obtain credit in the first place or a co-signer could be added to reduce the interest rate applied to the loan. The Consumer Financial Protection Bureau published a report in April 2014 stating that 90% of private student loans were co-signed. If you took out a private student loan, chances are high that you had a family member or close friend co-sign for your loan as well. Tread carefully. A co-signer is fully legally responsible for the entire amount of the loan, regardless of whether or not the student pays the loan. This can be problematic for obvious reasons. The student is simply trying to get ahead in life and the co-signer is usually someone who cares about the student and wants the student to succeed. After the student graduates from college (and finishes another three years in law school), they will have a high paying job and then pay off the loan. I repeat. They will have a high paying job, right? Truth is it doesn’t always work out that way. The student might not land the great job. The student might get sick. The student might decide that law is not for them. Obviously, there are a lot of different things that could go wrong. None of it matters to the lender. If the student stops making payments, the lender will pursue both the student and co-signer for the full amount of the loan. If the loan goes into default, the lender may send the loan to collections. The result is a mess for everyone involved. Cosigner Release. Luckily, there is a way out. You can have a co-signer released from the loan. These usually come in two forms, either a buyout where the co-signer makes a lump payment against the loan or after a series of on-time payments. Unfortunately, it looks like lenders are not making it easy. The same Consumer Financial Bureau Agency report reveals stories of lenders promising that a co-signer will be released after 28 on-time payments, only to change the requirement to 36 on-time payments and then later to 48 on-time payments. Consumers have also complained of being required to complete forms that are often not available on websites or in an electronic form. It’s as if the lenders are engaging in a classic bait and switch. 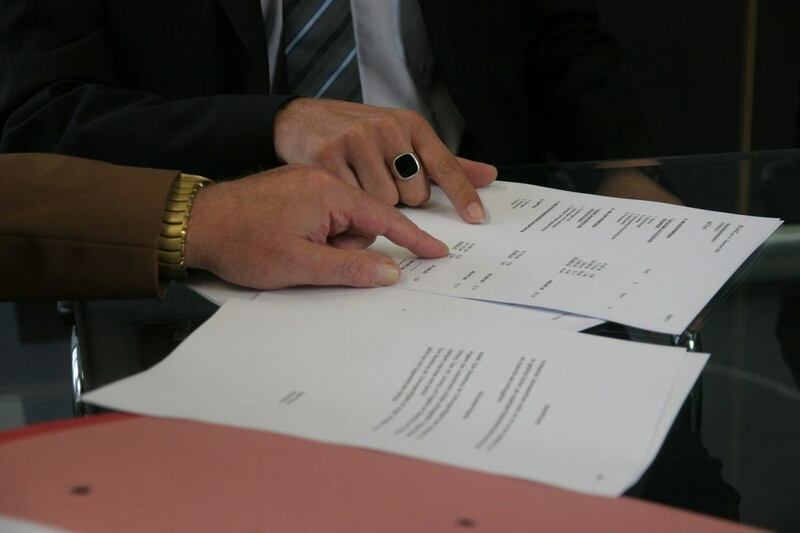 Buried deep within some private loan documents is a small but significant clause that allows the lender to call an event of default upon the death or bankruptcy of a co-signer. If an event of default occurs, the lender may have the option to either accelerate repayment (i.e. declare that the loan is due in full immediately) or put the loan into default. As would be expected, the “automatic default” clause has received a lot of criticism. Imagine dealing with the loss of a family member and at the same time receiving a phone call from a student loan lender informing you that the entire balance of your loan is due. Absolutely ridiculous. It’s another reason to steer clear of private student loans. Refinance the loans with one of the new players in student loans, which will likely not require you to have a co-signer. Drop your co-signer from the loan document. Call your loan provider to figure out what steps need to be taken. Prioritize paying off the private student loan. Buckle down on all expenses until this loan is gone. Given the various types of loans, it’s obviously important that you first figure out what types of loans you have. Next up we’ll discuss your repayment options. Let us know what you think in the comments. Do you have any private student loans? Did you refinance them? Are there good private student loans out there that I’m missing?